If you want to be in the know about what’s going on at KHAKY and in the kidney world, you’ve come to the right place. Be sure to check back regularly to get our latest news updates. The Kentucky Renal Social Workers will host their Spring Meeting on Tuesday, May 14, at the Holiday Inn-Hamburg, in Lexington. A full agenda is available on this site and registration is open. All attendees must register in advance to ensure there is an accurate headcount for lunch. 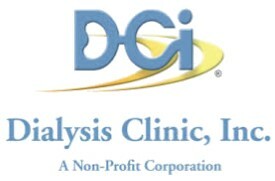 This year's speakers and topics are not only relevant but also addressing a wide range of topics to keep Kentucky's renal social workers well informed and equipped for the changes and challenges the dialysis community experiences. 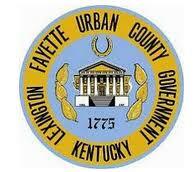 Over 5 CEUs have been applied for from the KY Board of Social Work. The 2018 Trees of Life Gala was a wonderful event and huge success! Thanks to all of our sponsors, donors, decorators, Taste of the Town participants, committee members and guests! As our signature fundraising event the Trees of Life has provided a substantial portion of KHAKY's operating budget for the past 32 years. We are so grateful to all of the many volunteers and supporters that make that possible! Our donor for "Keys to the Bling:"
And to all of our mystery gift and silent auction donors! Imagine getting a diagnosis of a serious disease and then hearing your doctor say, “There is no treatment.” That’s what every adult with autosomal dominant polycystic kidney disease (ADPKD) heard—until now. In some of the best news for the kidney community in a long time, the FDA just this week approved a new drug that has been shown to slow down the progression of ADPKD to kidney failure. Polycystic kidney disease (PKD) is a genetic disease that causes cysts to grow inside the kidneys. These cysts make the kidneys much larger than they should be and damage the tissue that the kidneys are made of, causing chronic kidney disease (CKD) , which can lead to kidney failure, or end-stage renal disease (ESRD). PKD causes about 2 percent (2 out of every 100) of the cases of kidney failure in the United States each year. ADPKD is the most common type of PKD. About 9 out of every 10 people with PKD have the autosomal dominant form, which is also the most common inherited kidney disease. ADPKD causes cysts to form only in the kidneys and symptoms of the disease may not appear until a person is between 30 and 50 years old. The new drug, JYNARQUE™, is a pill taken twice a day that slows the growth of cysts and has been shown to preserve kidney function. It is a long-term use drug—extending the time before a patient needs dialysis or a transplant, though it does not cure ADPKD. JYNARQUE™ was developed by Otsuka Pharmaceuticals. It's time to start planning our 2019 KHAKY Country Fair 5ks and Fun Walks! 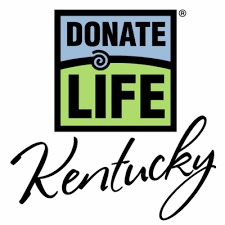 Bring an event to your home town and help us raise awareness of kidney disease across Kentucky! Learn more about how you can be part of 2019 team under our "News and Events" tab! Special THANKS to all the great volunteers, sponsors and participants of our 2018 KHAKY Country Fair and Fun Walks! Events were held in Corbin, Campbellsville and Danville. Our committees worked hard and these events were lots of fun while raising awareness of kidney disease and raising money to support the programs and services that KHAKY provides. Our team captains, Camille Robidoux, Erica Porter and Alicia Absher all showed excellent leadership and coordination skills in putting together their team, soliciting sponsors and getting participants involved. We are grateful beyond words to everyone involved. Thank you. Let's do it again in 2019. The United Way of South Central KY will host is 33rd annual Golf Scramble, Wednesday, August 8, at Eagle's Nest Country Club, Somerset, KY. UWSCKY is a supporter of KHAKY and we are proud to participate with them in this event. The entry fee is only $75/player ($300/team) and includes green fees, carts, prizes, mulligans and skirts!! Lunch is provided by Hardee's South and Red Burrito. This is a fun event and we invite all of our KHAKY golfing friends to join us at Eagles Nest.